The Crafter’s excellence has been recognised internationally with the prestigious International Van of the Year Award for 2017. 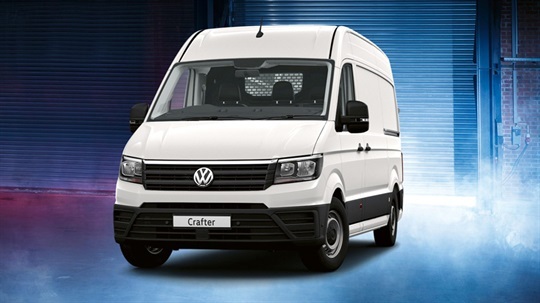 The Crafter Runner has been designed and engineered 100% by Volkswagen and is quickly becoming the new benchmark in vans for its thoughtful approach to design, driver comfort, safety, driver assist technologies1 and engineering. 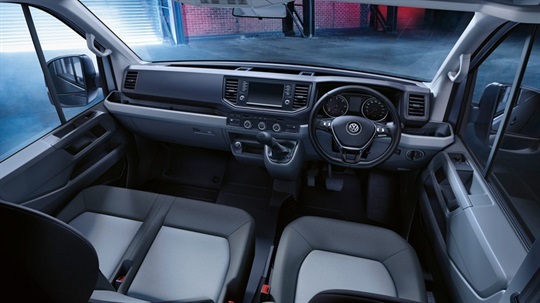 In addition, the Crafter Runner has been constructed in a new, purpose-built Volkswagen factory to ensure the highest standards of build quality and finish. The roomy Crafter Runner’s wide sliding doors open up to 1,311mm, with a load compartment height of up to 1,916mm. 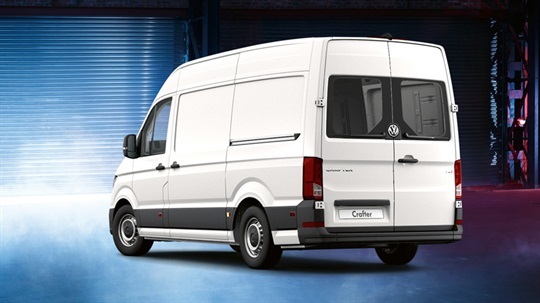 The LWB models have the space to accommodate six Euro pallets and the MWB can handle four pallets. The Crafter Runner comes in two different wheelbases, each offering a different vehicle height. The MWB (3,450 mm) has a total vehicle length of 5,986 mm and an external height of 2,355 mm. 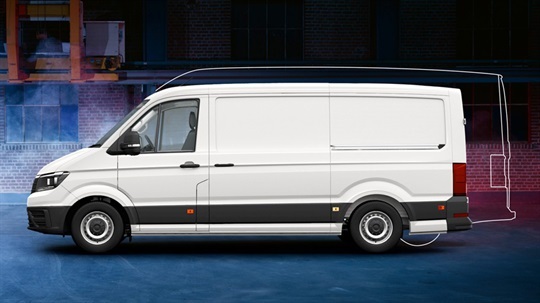 The LWB option (4,490 mm) has a total vehicle length of 6,836 mm, with an extended external height of 2,590 mm. The Crafter Runner offers a load capacity of 9.9m3, with a 1,465kg payload (MWB)†, or 14.4m3 with a 1,322kg payload (LWB)†, while the wide sliding door on the passenger’s side easily allows access for a goods pallet. 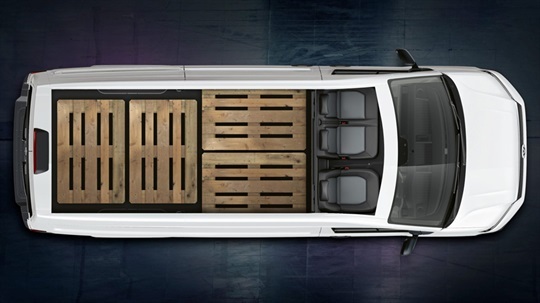 It has rear barn doors opening 180 degrees for greater convenience when loading. 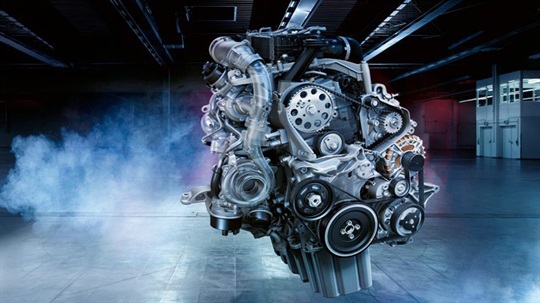 Both of the Crafter Runner models are available in front wheel drive with a 6-speed manual gearbox, and feature the TDI engine with 340Nm of torque and 103kW of power. Designed specifically for heavy-duty use, you can expect a long service life combined with the highest performance requirements. 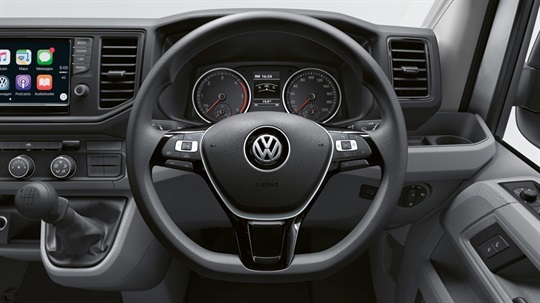 The Crafter Runner comes with state-of-the-art driver assistance systems. Front Assist uses radar to monitor your distance from the traffic in front, and alerts you if you are too close. 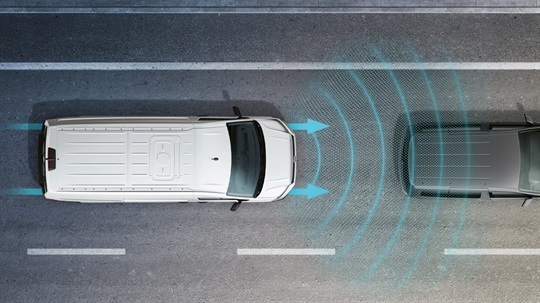 City Emergency Braking reduces the chance of a collision by triggering emergency braking when it detects critical distances from other vehicles. Access your smartphone’s screen, selected apps, maps, and music through App-Connect2 on your van’s touchscreen. 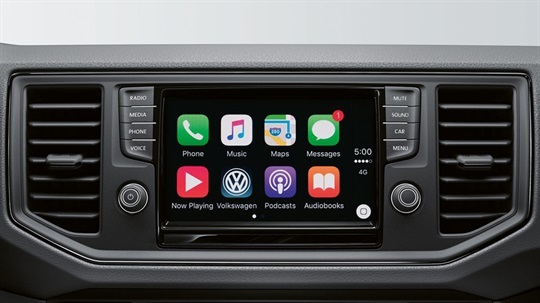 This is thanks to three innovative technologies: Apple CarPlay®, Android Auto™ and MirrorLink® interfaces. Featuring an 8-inch colour display, you can access radio, selected Apps and other media, all from one convenient hub. And they can be activated by a Voice Control. 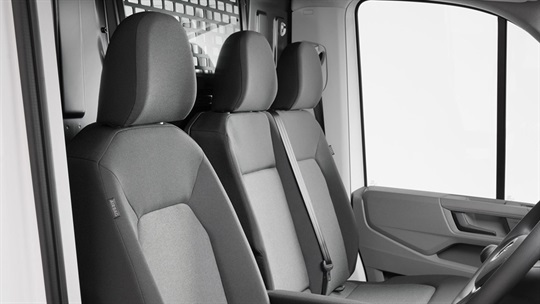 The Crafter Runner can comfortably seat up to 3 people, including the driver, thanks to a 2-seater front passenger bench. The driver’s seat benefits from ergonomic “Comfort Plus” with 4-way electronically adjustable lumbar support and two armrests. The passenger bench boasts generous under-seat storage and a foldable table in the backrest. 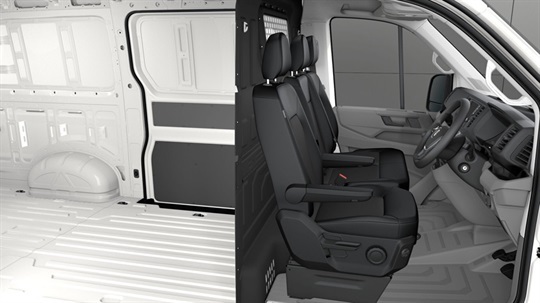 The Crafter Runner has taken safety standards to a new level for both driver and passengers with 6 airbags as standard – front, side and curtain airbags for both the driver and passenger side of the van.